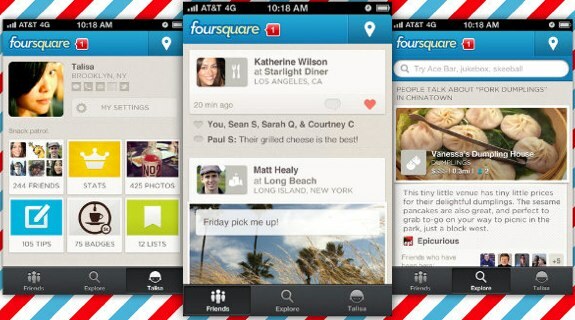 Foursquare has released a major revision and revamp of its iOS and Android apps, introducing a brand new user interface. Foursquare 5.0 aims to make it easier to find places to go and activities to do, as it now takes into account the time of day, the local weather, and your location before recommending something to do. It also now incorporates a Like button on venues, which it will then use to find more places that it thinks you'll like when you are using the Explore function. You can grab Foursquare 5.0 now from the App Store and Google Play.